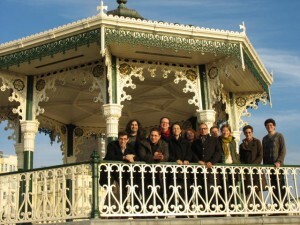 The opening meeting of this year’s Leo Baeck Fellows in Brighton began our year on just the right foot. 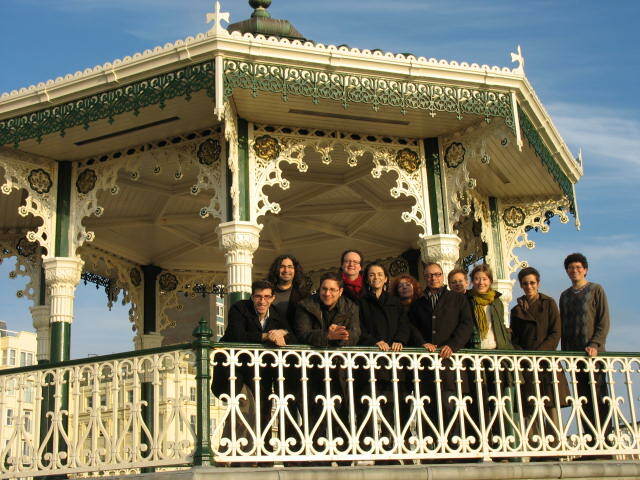 Overseen and guided by Rafael Gross (LBI-London), Vivian Liska (University of Antwerp), and Daniel Wildmann (LBI-London), and Matthias Frenz (Studienstiftung des deutschen Volkes), the fellows convened in England from institutions in Germany, Israel, the United Kingdom, and the United States. Coming from disparate locations, the fellows were united in their interest in the German lands. This geographic marker did not, however, bring limits to our shared interest, but rather demonstrated the range of topics and inquiries possible within the widest contours of both time and space. Our research projects ranged from the fifteenth to the twentieth centuries, examining the early modern Holy Roman Empire to ties between the modern state of Israel and contemporary Germany, to German-Jewish diasporas on the West Coast of the United States. The themes encompassed politics, law, gender, family life, music, ethnography, and more. Each session was designed to consist of a presentation by a fellow of his or her work, followed by a response by a different fellow. This was an invaluable exercise, inviting the fellows to carefully craft remarks that would both inspire discussion and help to direct our colleagues towards sharper questions and more rigorous analyses. It further helped to train each respondent in the art of formulating questions. Despite the diversity of themes, the fellows found surprising common ground in shared questions. Issues of defining identity—understanding how people ‘fashion’ their image in their own eyes and in the eyes of others—invited particularly electrifying conversation both within the sessions and beyond. Conversation did not halt with the end of the formal session. Complementing rigorous sessions with informal talks over dinner and drinks, the faculty carefully balanced between academic instruction and the crafting of a collegial network that has continued to maintain contact in the intervening months since our meeting. Several students have taken advantage of this network to share information, while others have created a small interim workshop to discuss their work. All look forward to the summer meeting.